In Greenwood, South Carolina, a settlement has been reached between the parents of a toddler and the daycare where the boy contracted E. coli and subsequently died. The lawsuit claimed that a teacher at the daycare was diagnosed with E. coli but was allowed to continue working in contact with young children. Further, daycare directors took no action to keep the teacher away from the facility and failed to inform parents of her illness, in violation of State safety regulations. Had the parents known a teacher tested positive for E. coli then they could have made a different decision about daycare in the interest of their son’s safety. 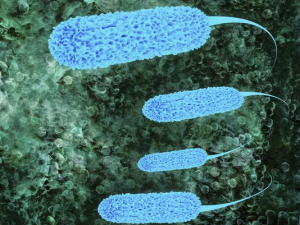 E. coli can spread when a person ingests something with trace amounts of feces, often from eating food prepared by someone who did not thoroughly wash their hands after using the bathroom, eating undercooked ground beef, drinking unpasteurized milk or drinking contaminated water. E. coli can easily spread between people, especially when infected adults and children do not properly wash their hands. Symptoms can include severe or bloody diarrhea, abdominal cramping, nausea and vomiting. Most people improve after a week from the onset of the infection, but the young and elderly are particularly vulnerable, and up to 10% may experience serious complications or death. In this case, the State Department of Health and Environmental Control had been notified of a confirmed case of E. coli at the daycare facility last May. The young boy started showing symptoms by May 26, but once he was taken to the emergency room his condition deteriorated until his kidneys shut down. The boy died on May 31 and it was confirmed to be caused by the same strain of E. coli that the infected teacher was diagnosed with. The parents have said that “all the money in the world” cannot bring their son back, but they wanted to pursue a lawsuit for a sense of accountability and to hopefully help avoid future tragedies through raising awareness. Read the full article at Greenville Online.